Nokuse Plantation is a 48,000 acre private conservation initiative in the Florida Panhandle conceptualized and funded by M. C. Davis and Sam Shine. It is designed to be both a model and a catalyst for future landscape level conservation projects, which is the only way to preserve nature’s intrinsic biodiversity. Nokuse (pronounced no-go-see) is the Creek Indian word for black bear and symbolizes the goal of providing suitable habitat for large ranging mammals through ecosystem restoration. The E.O. 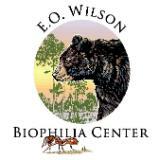 Wilson Biophilia Center is an environmental education facility serving students, teachers, the general public and professional audiences. Its mission is to educate visitors on the importance of biodiversity, to promote sustainable balanced ecosystems, and to encourage conservation, preservation and restoration. Developed by Walton County Conservationist and Resident, M.C. Davis, on his 48,000-acre conservation land named Nokuse Plantation, The E.O. Wilson Biophilia Center is named after world renowned scientist Dr. Edward O. Wilson, Pellegrino University Professor Emeritus and Honorary Curator in Entomology at Harvard University, for his life-long contributions to public education about the importance of conserving the world's biodiversity. This two-time Pulitzer prize winner, spent his formative years and performed his earliest scientific investigations in NW Florida and SW Alabama, and developed "biophilia -- the connections that human beings subconsciously seek with the rest of life." Visitors at the E.O. Wilson Biophilia Center will have an opportunity to learn about the natural environment through interpretive exhibits as well as an extensive trail system through natural areas undergoing ecological restoration on the nature preserve. In addition, this facility will be promoted as a gathering place for local and regional scientists to conduct ecological research and participate in symposia that disseminate this research to the public. By offering weeklong curriculum that coincides with the Florida Sunshine State Standards, our young citizens will have a better understanding and knowledge for science portions of the FCAT, while promoting Science, Technology, Engineering and Mathematic (STEM) subjects, and providing opportunities for inquiry, investigation and innovation so that in long-term we all may become better stewards during our journey on this planet. North Florida philanthropist M.C. Davis says he spent the first half of his life trying get out of the woods -- and the second half trying to get back into them.